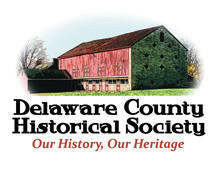 The Curriculum Support Committee of the Delaware County Historical Society will present “Voices of the Underground Railroad,” a series of 10 vignettes about local people who were involved in the activities of the Underground Railroad in Delaware County during the era prior to the Civil War. Reenactors will each recount a piece of their own history and will include Asbury Parker, a runaway slave; Mary Frances (Alston) Austin, the last surviving freed slave to arrive in Delaware County; abolitionists such as Ostrander’s William Cratty and Peru Township’s Aaron L. and Phoebe Benedict; plus many others. The program will begin and end with music of fugitive slaves, sung by the AME church choir. The program will begin at 7 p.m. on Wednesday, Feb. 13, at William Street United Methodist Church, 28 W. William St. in Delaware. Admission is free, but donations will be accepted. The program is open to the public, however, to ensure adequate seating, preregistration is encouraged. For more information and to register, visit DelawareOhioHistory.org and follow the links to Eventbrite, call 740-369-3831, ext. 3, or email Programs@DelawareOhioHistory.org. Enter the church through the main entrance located off the city parking lot on Franklin Street. An elevator is available.